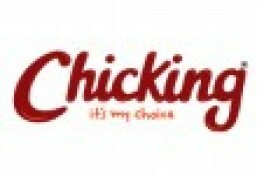 Chicking Fried Chicken is currently closed for delivery and it will open at 12:00 PM tomorrow . 6 Pcs Chicken (Fried Spicy/Fried Regular or Grilled) + 6Pcs boneless chicken strips (Spicy/Regular)+ 3 Bun + 1 Coleslaw (L) + 1 Ltr Drink (Cola, Fanta, Sprite or Water). 12 pcs fried chicken, 3 bun, 3 coleslaw, 1 large fries and 1 ltr drink (Cola, Fanta, Sprite, Water).